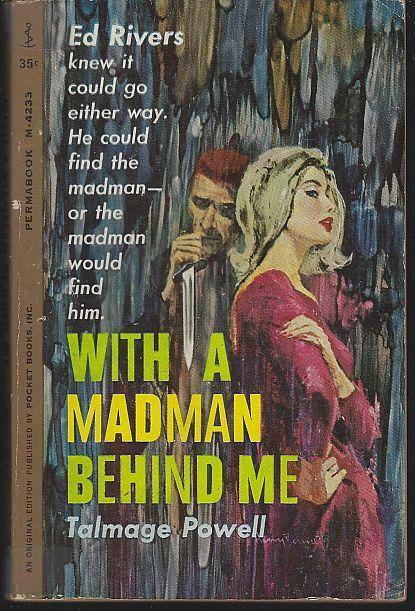 With a Madman Behind Me by Talmage Powell. New York. Pocket. 1962. First Edition. Paperback. Good. Edgewear, spine is creased. Spine has tape at top and bottom. 152 pages. Items Similar To "With a Madman Behind Me by Talmage Powell 1962 Vintage Mystery Pa..."